Put a kettle on, boil the water. Add teabags, dissolve the honey and add vanilla. Stir and put aside to cool for 15 minutes. Remove the teabags and refrigerate for an hour. To serve, pour half of the tea (8 oz, 250ml) and half of the lemonade (2 oz, 60ml) into a glass and add ice to serve. 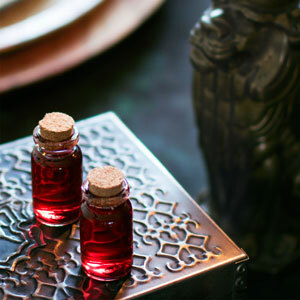 Alternatively, pour the mixture into individual vials/bottles.